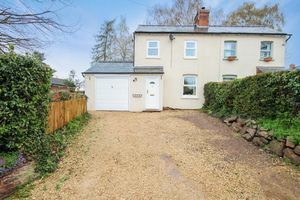 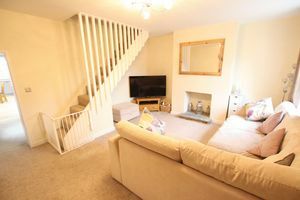 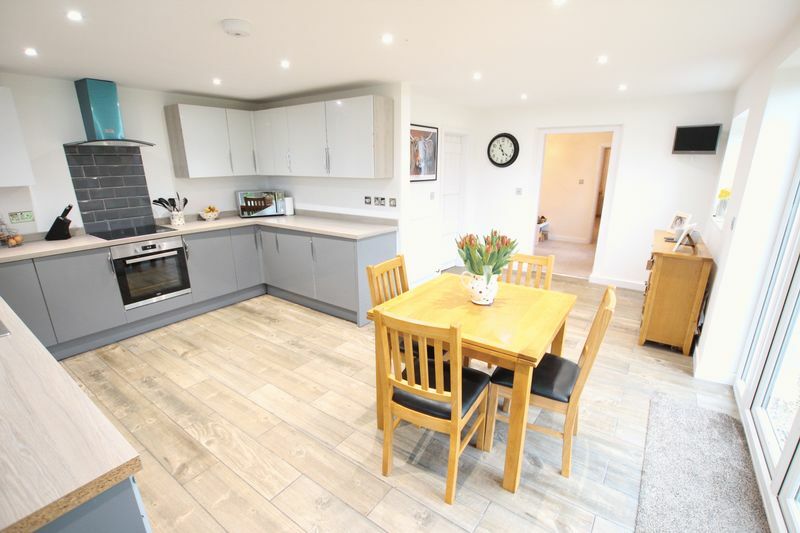 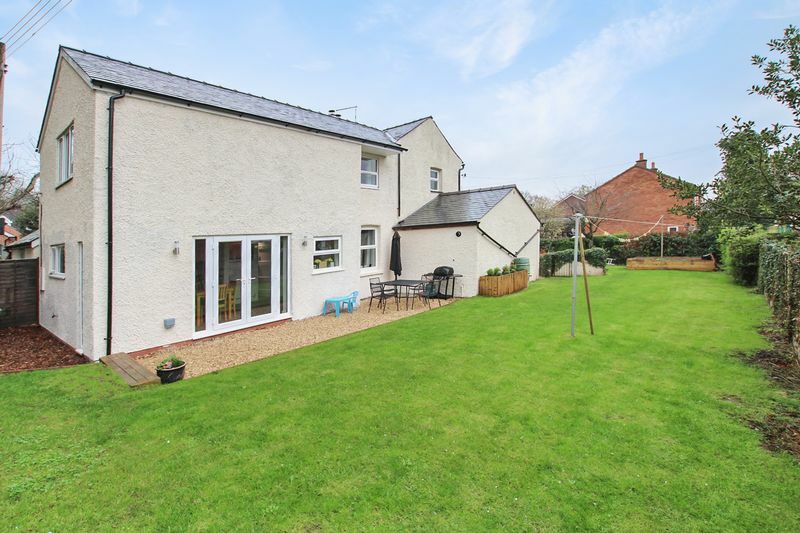 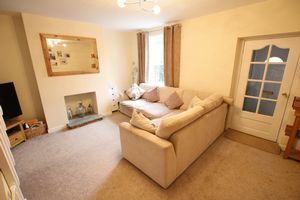 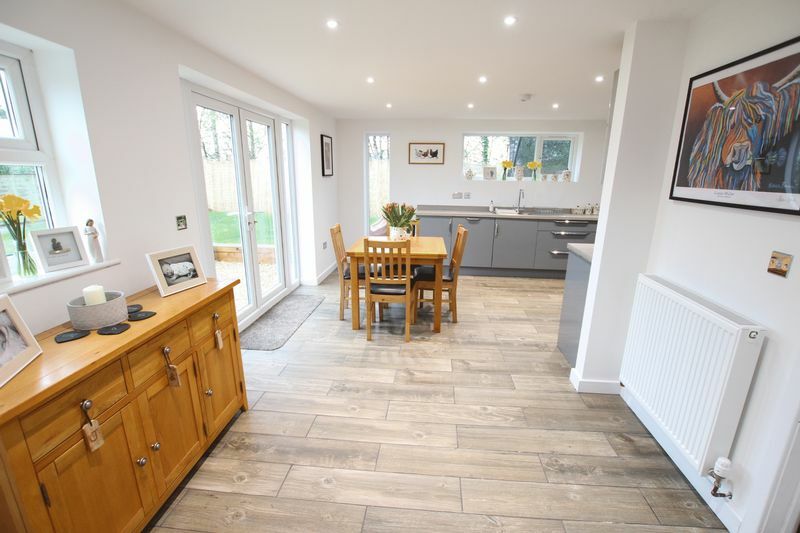 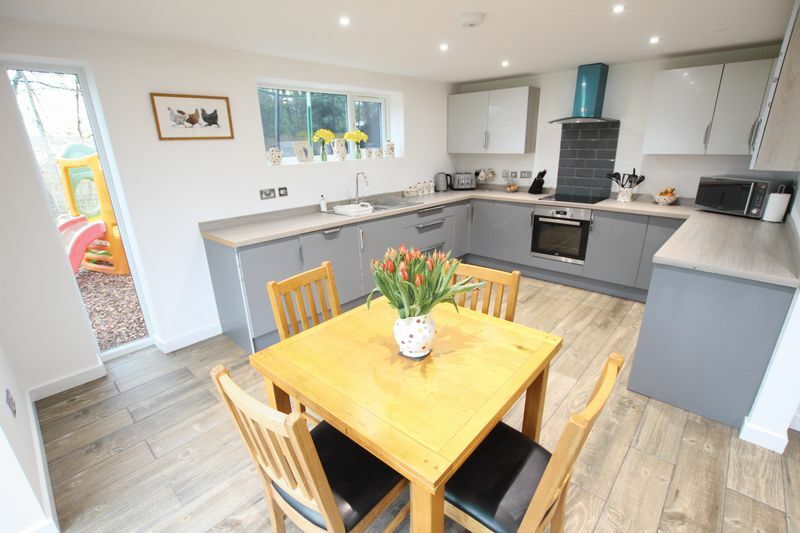 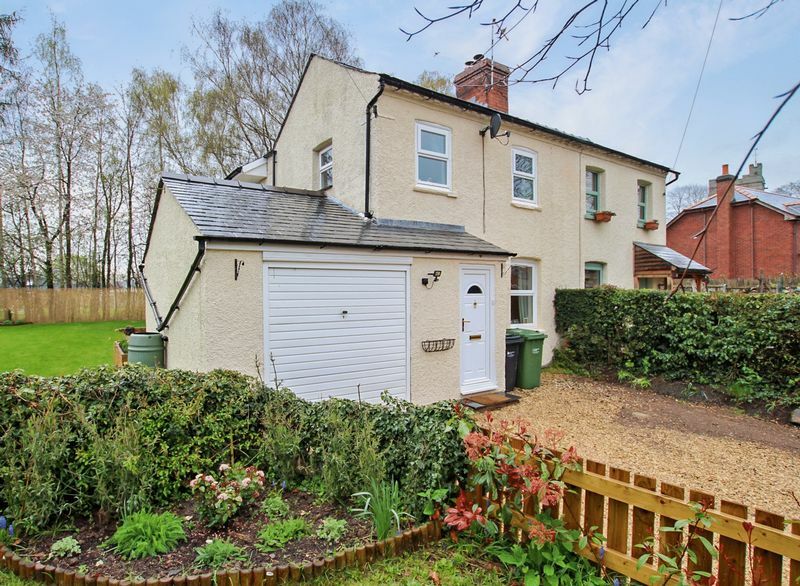 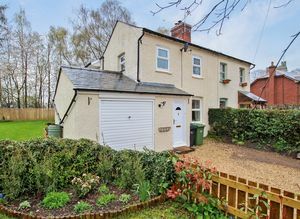 Beautifully presented, extended semi-detached cottage in a lovely village location south west of Hereford with 4 bedrooms, 1 en-suite, stunning kitchen/breakfast room, gas central heating,double glazing, garage and good-sized garden. 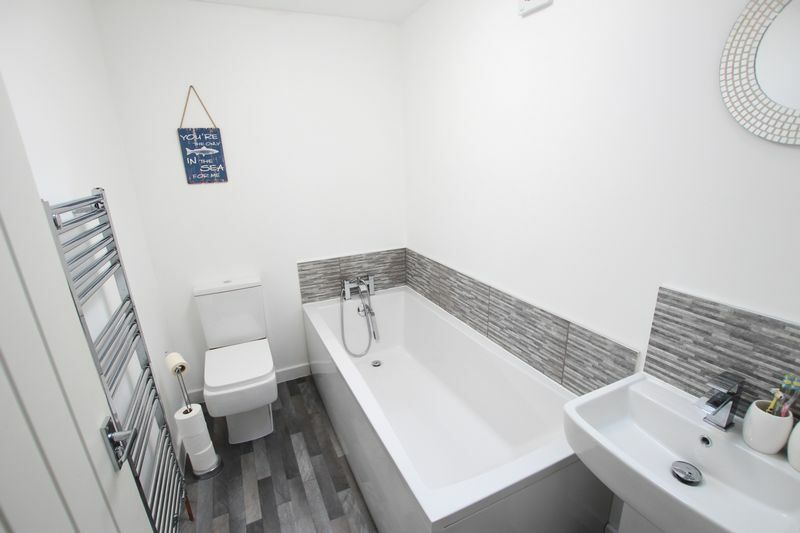 Plumbing for washing machine, space for tumble drier, WC, wash hand basin, wood-effect tiled flooring, LED downlighters, extractor fan. Radiator, window to front and side. 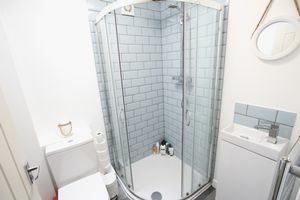 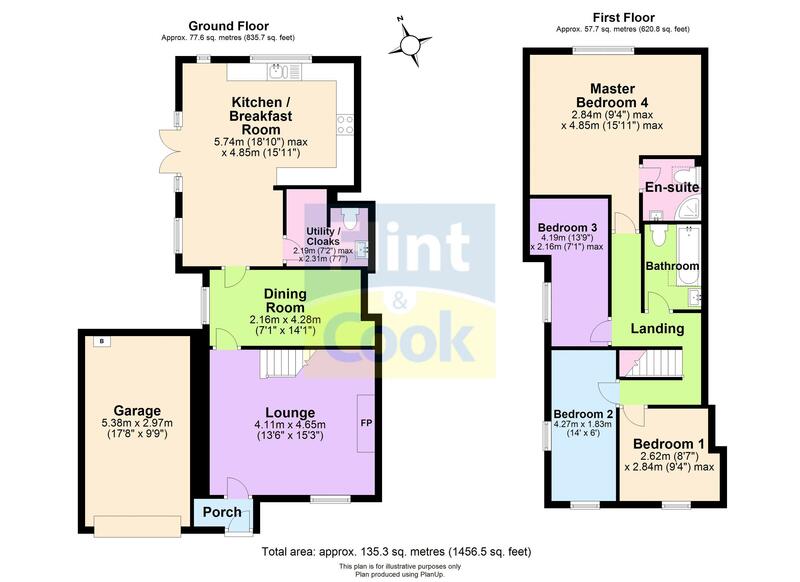 White suite comprising bath with mixer tap and shower attachment, wash hand basin and WC, ladder-style radiator, extractor fan, Velux roof window. 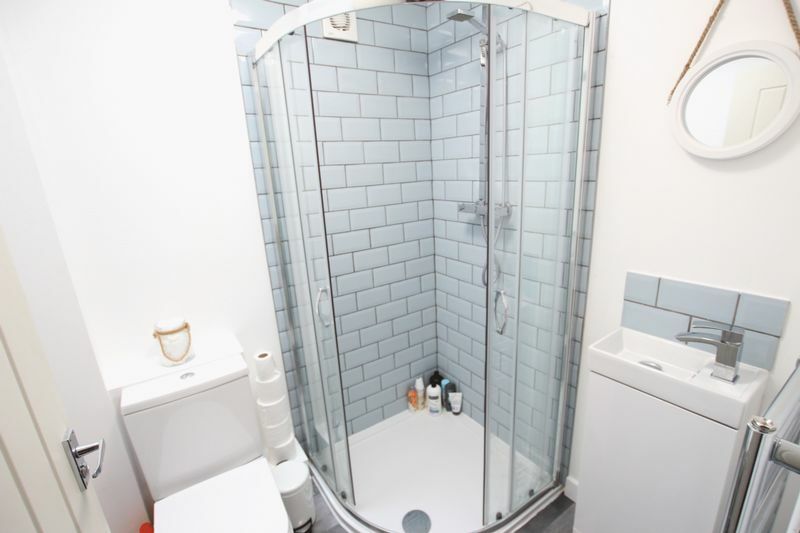 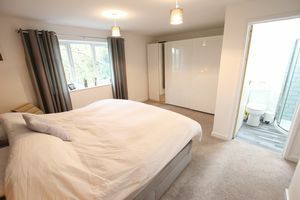 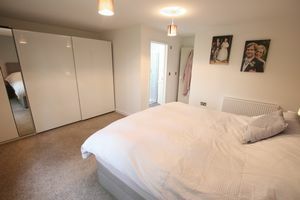 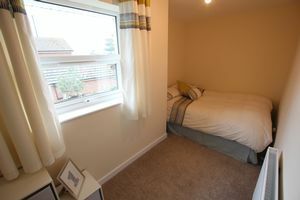 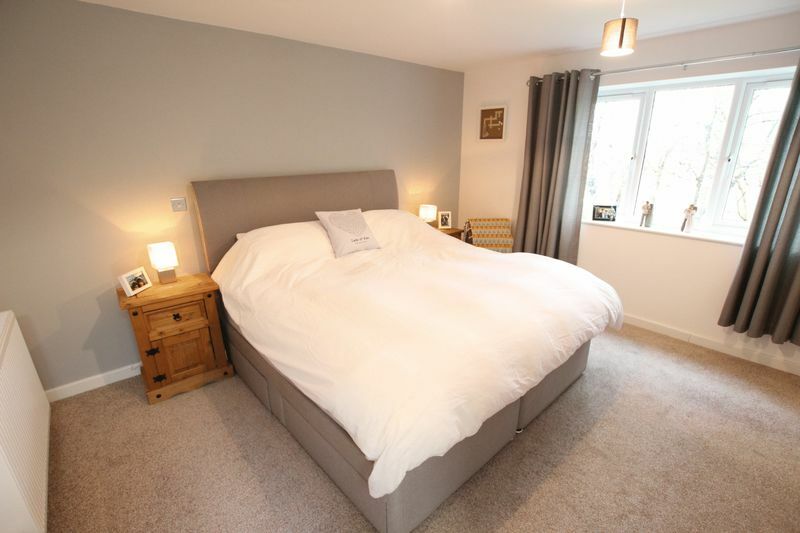 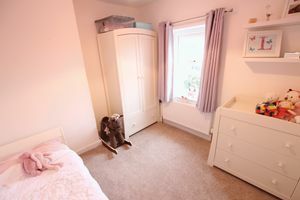 A large room with radiator, window to rear overlooking school playing fields, and en-suite shower room with tiled shower cubicle with mains overhead and hand-held fitments, glass screen, wash hand basin, WC, ladder-style radiator, extractor fan, Velux roof window. With light, power and housing the gas-fired central heating boiler. 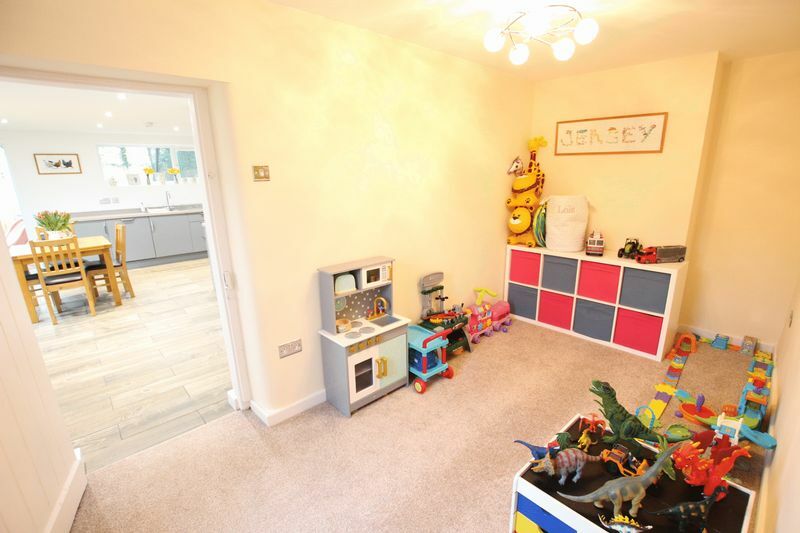 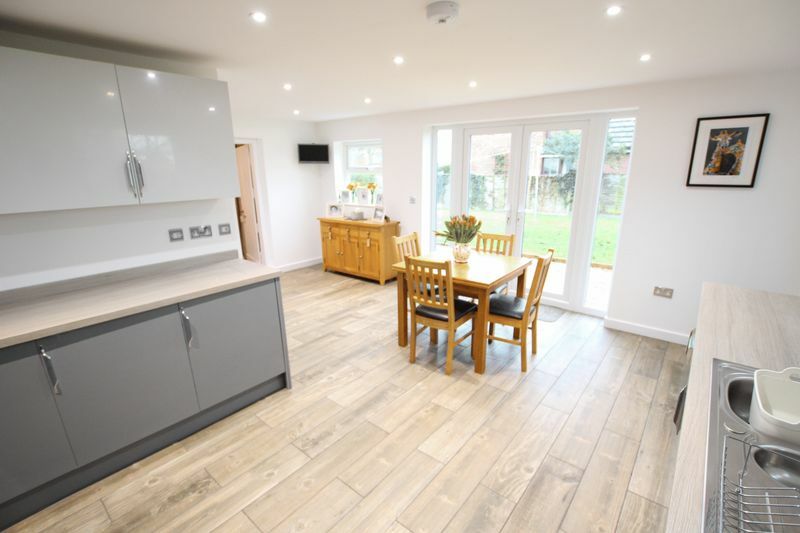 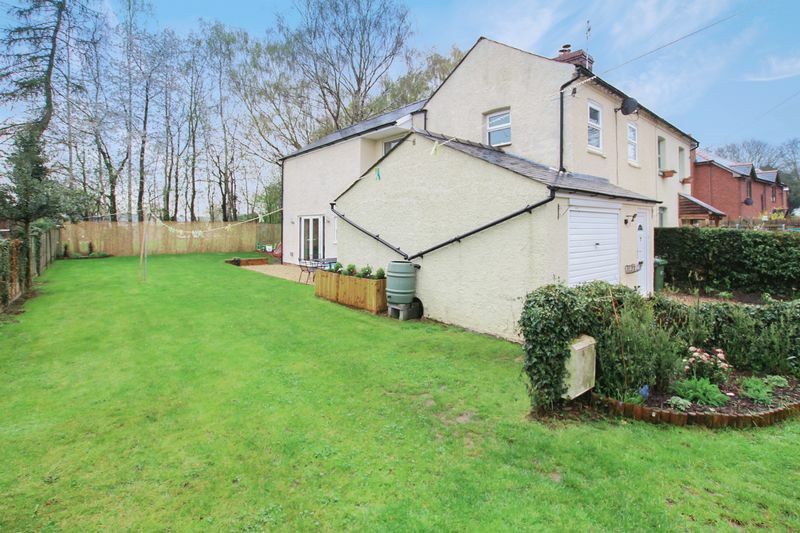 There is side access to the large garden which lies to the side of the property and is mainly lawned with a gravelled area and barked play area to the rear. Outside lights, power sockets and water tap. Raised vegetable beds.